We have visitor open days from March until November every Friday, 10am – 4pm. During this time volunteers will be available to discuss our rich history and answer questions. 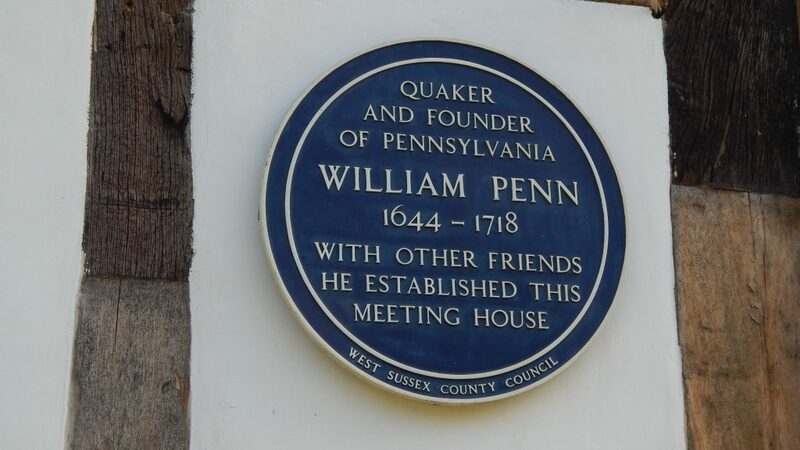 We have an exhibition in our hovel barn where you can read and watch audio-visual displays about William Penn and the Blue Idol’s history. Drinks and toilet facilities are available. 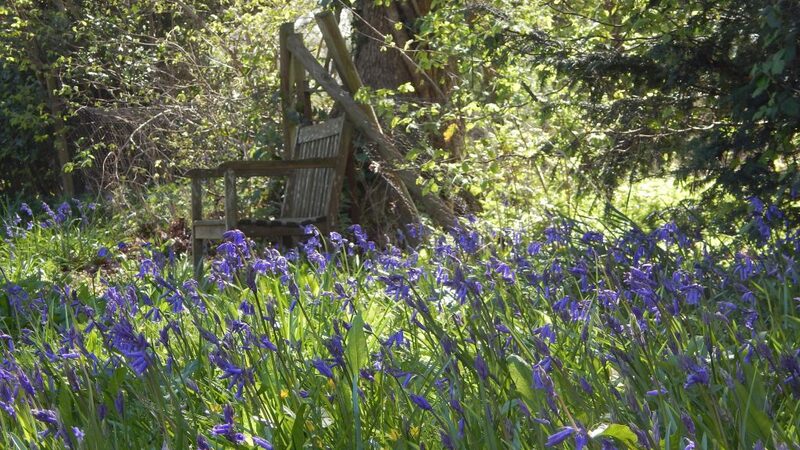 You are welcome to spend time here to enjoy the garden, with a picnic or a book or just to sit. The Blue Idol garden is open everyday during daylight hours. There is a small William Penn information trail around the garden and benches to sit on. You are welcome to drop in, enjoy your lunch or have a quiet peaceful moment here. We are affiliated members of the Quiet Garden Movement. 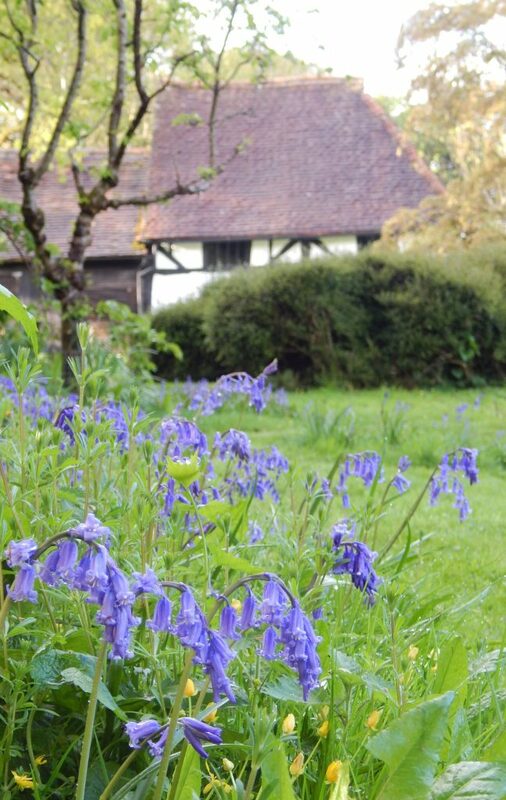 We have a Quiet Garden Afternoon on the first Wednesday of each month from April to October, 1.30pm – 4pm. Each afternoon will start with a short introduction from the facilitators. The remainder of the afternoon there is space to reflect and refreshments will be available. No need to book, just turn up. We are happy to arrange group visits. These can either be to look around or include a talk and refreshments. In the past we have welcomed U3A groups, local history and church groups and the cub scouts. Please get in touch to book ahead. Where a talk and refreshments will be provided we suggest a donation of £5 per person to cover costs (however, please do not let cost prevent your group visiting us as a donation is optional). We also hold events from April through to October. Visit the calendar page to see upcoming events. There are a number of public footpaths near the Blue Idol and we are one of the stops on the West Sussex Literary Trail. 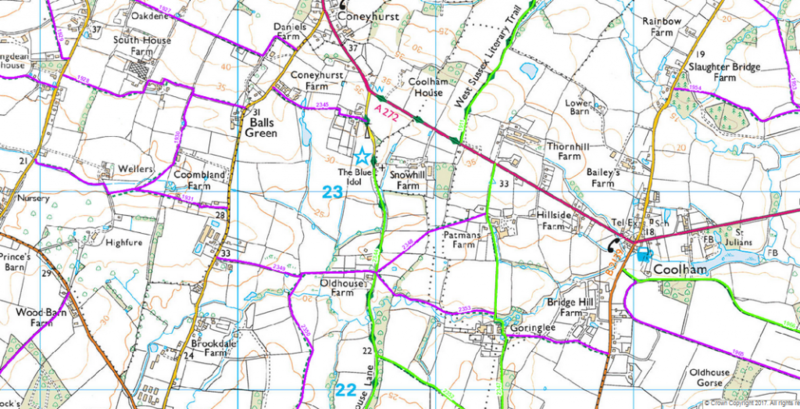 An interactive footpath map can be accessed here on the West Sussex website. The West Sussex Literary Trail runs 55 miles from Horsham to Chichester Cathedral, more info here.